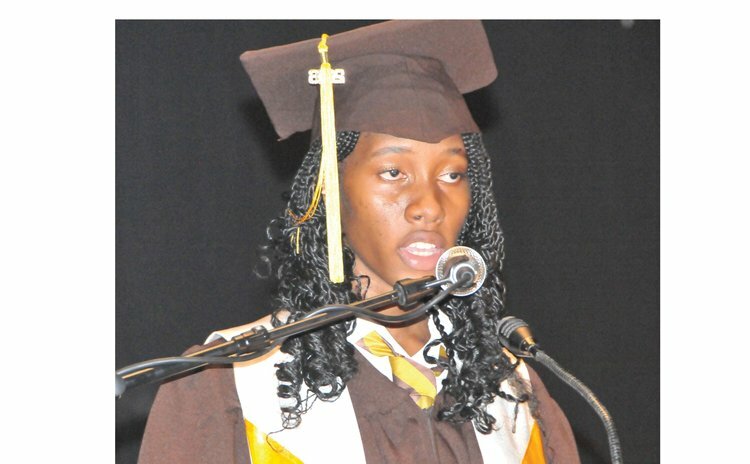 The Dominica Grammar School's graduating class of 2016 has been advised to avoid blaming the system when they do not reach their desired goals. "Your friends, associates will eventually change course to meet their own goals and if you don't take stock of your life you will begin as is the norm to blame the system," said the Feature Speaker Sharon Philogene at the school's graduation ceremony on June 20, at the Arawak House of Culture. Blaming the system is the easiest way to shrug off the responsibility for not accomplishing one's goals in life, Philogene said. "The citizens can always find some aspect of the system to criticise but we have to make the best of the circumstances," she said. Philogene said that success does not come without challenges and obstacles along the way. "Success doesn't always come without challenges…you will encounter all different types of obstacles along the way and overcoming some of them will require knowledge or common sense," she said. Meanwhile, Principal of the Dominica Grammar School Alicia Jean-Jacques highlighted the school's academic success over the last year. "We were very encouraged by the 2015 CSEC results which gave us an 80.87 overall pass rate over five percentage points above last year," she said. Jean-Jacques stated that the school has seen a steady climb in performance from 2012. She said that year the school registered a 52.2 percent pass rate. She reported that in 2015 out of these 26 subjects students received percentage passes of above 80 percent in 16 subjects. Jean-Jacques stated: "82 students out of 109 passed four and more subjects and 26 of these students had seven or more passes." Furthermore, she said that for this academic year the school has registered students for 27 subjects. She said the new additions include: Economics at CSEC and Commercial Food Preparation at the Caribbean Vocational Qualification exams.